I agree that the Company can use my details to contact me in regards to my quote and for future offers. 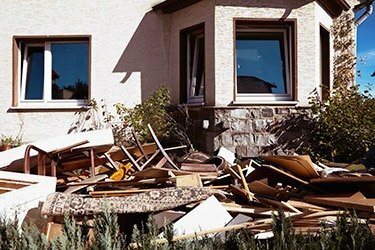 Whether it is outdated furniture or appliances, or maybe some leftover building material that the building crew left – we all know how bothersome it can get. That is why we at We Collect Rubbish have come up with a perfect solution – our rubbish removal in London. Whether it is your home or your office, we have got you covered. Thanks to our experienced teams and proven methods, you will see the items you no longer need gone in a flash. If you have always wanted to see your home, shed, garden or office free of junk, we can easily make that a reality. Simply contact 020 3909 7640 and get us on the case. What is different about our company? Our company is different from many of the others in that we are eco-friendly oriented. What this means is that whatever items we collect from your property, we will try to recycle. 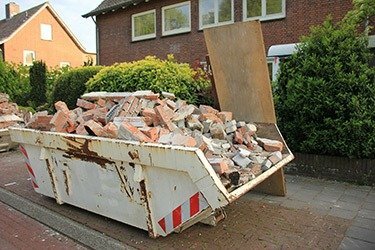 Such a service is fundamentally different from plain skip hire. Reusing and recycling the collected waste means less of an impact on the environment, which is very important to us. Apart from this, our company is known for its same-day waste removal service available all throughout London. Professional teams – our staff consists of well-trained professionals. They can handle any challenge the work presents in a creative and efficient way. Serious about details – we know it is important to pay attention to all details. That is exactly why our teams will always be careful on the job and listen to your needs. Friendly attitude – each member of our staff will strike you as particularly friendly and well-mannered. Client-oriented approach – we know every job is different and that is why strictly follow client specifications and requirements. Approach our company with a request for a job. You can do so on 020 3909 7640, via email or use the contact form on this website. Share as much details of the job as possible – time and date, volume and type of the rubbish you want us to clear and address. 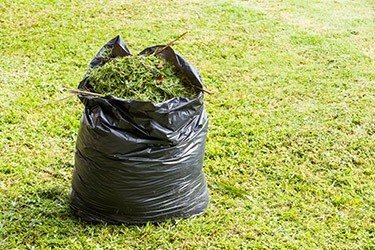 We will provide you with an initial estimate for our rubbish removal in London. If you agree, we will proceed with the booking and send a team on the date and time you have chosen. We will collect the waste you no longer want on your property. What else do you need to know about We Collect Rubbish? Our company is fully insured and accredited. We can safely deal with any junk removal project for all in London. Our services cater to the needs of every resident of the capital as well as all businesses – we offer both house and office clearance. A great number of clients have already tested our services and found just how effective at rubbish removal we are. We have been on the market for a number of years now and not once have we disappointed our clients. 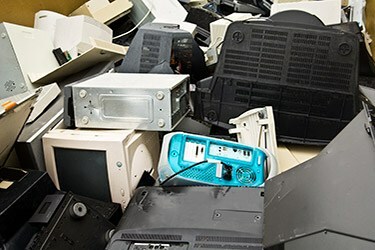 We recognise the importance of the job, as large accumulation of waste can hinder any available free space. For this reason, we work fast and provide proven solutions to everyone faced with such a problem. We urge every resident of the capital to contact us on 020 3909 7640 of they wish to free some space and do away with annoying clutter. Say goodbye to rubbish by using our rubbish removal in London! "We recently had a big renovation project at home. I was a bit scared of all the leftover materials and building waste lying around, but thankfully my husband found We Collect Rubbish. The company sent a team to our property the next day and these guys did a great job. They quickly collected the unwanted waste, leaving our home in a great post-renovation state. I totally recommend them!" "I have a garden and I like looking after it. Every now and then, I call We Collect Rubbish to dispose of the accumulated waste. They are always so fast to arrive and so quick to deal with whatever amount of plant matter and soil I don’t need. I appreciate all they are doing!" "My wife and I recently decided to free space from unwanted junk around our home. I did a quick search online and found out about the home clearance services of We Collect Rubbish. They gave me a great quote and later delivered a flawless service. I will be sure to turn to them again in the future."